6 and counting...where it all started. You know how every year at family gatherings, your grandma or crazy uncle will tell the SAME story she or he tells every year. And every year, you laugh and reminisce as if it’s the first time you’ve heard the story, even though in reality it seems you’ve heard it a million times before. It never gets old. That’s how I feel about the story of “how I started running”. If I’ve told it once, I’ve told it a million times. 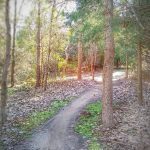 But that time of year is approaching (no, not Thanksgiving, but the Myrtle Beach Marathon), and since this blog wasn’t’ created yet by this time last year, I believe it’s time to make it a million and one. Here’s my story. My introduction to road racing was completely backwards. 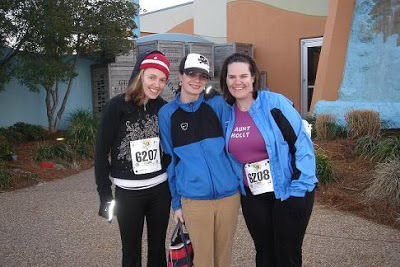 Fall 2004-my older sister Holly asked if my younger sister Cathy and I would run the Myrtle Beach half marathon with her that February (2005). I lived in Myrtle, and it could be a fun sister weekend. Cathy and I agreed, and before we knew it, Holly had registered us both for the race. Well, even though 5 month seemed FOREVER at the time, it passed in the blink of an eye. And before I knew it, race weekend had approached. My training had consisted of about two days of 3 mile runs on my apartment complex’s gym treadmill, in a sheer panic of “what the heck am I getting myself into”. But race day morning, I pulled out my Nike’s, which I had worn around for at least a good two years (hey, they still looked nice!) and toed the start line next to my sisters. Now, Cathy, the youngest sister and equally as unprepared as I was, had a theory that she could not stop running. If she stopped, she would never start again, and so she took off. We never saw her again. Holly and I, on the other hand, took the “run/walk” approach, which really worked well for me. I felt great. Holly and I jibber jabbered away like we always do (as anyone who has been in a room with all of the Gannoe women will tell you, we like to talk. A lot.) Somewhere around mile 4 Holly pulled a surprise on me. That surprise was called Strawberry GU. 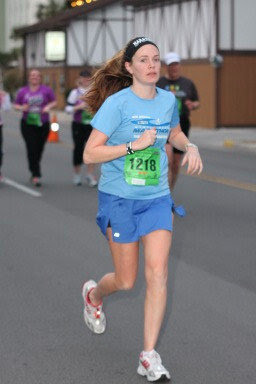 Now as you recall, I was NOT a runner, and had no flipping idea what I was doing out there. Nutrition? What do you mean? Holly told me to open it up and eat it. Easy enough, right? I bet you every single one of you can remember your first GU or gel. The consistency and the taste is NOTHING like you expect. Hopefully some of you went into the experience expecting it to taste less than ideal, but not me. Nope, I didn’t even have that going for me. I took one big mouthful and almost tossed my cookies. Next thing I knew I had a long string of GU hanging off my chin while I nearly cried “WHAT DID YOU JUST MAKE ME EAT EWWWW” to my sister, who proceeded to laugh her a$$ off at me.We ran/walked along having a great time. Somewhere around mile 10, I really needed a port-a-potty stop. I saw one about 300 yards ahead so I told Holly I was going to sprint ahead, but when she got there, she would wait for me. I ran, used the porta-potty (ah welcome to the world of racing!) jumped out and looked for Holly. NO where to be seen. I waited. And waited. And waited. Nothing. So I did what anyone looking for a lost pal would do…I started to backtrack on the course searching for her. I got about 15 “you are going the wrong way!” shouts from well meaning spectators (did they really think I didn’t realize that?) before a helpful volunteer stopped me. “Hey, are you looking for Holly?” (I knew these customized shirts Holly made us would come in handy!) I told the man yes, and he told me “Oh yeah she passed by here a long time ago”. UGGH. I took off RUNNING. I mean, really running, faster than I had in probably 5 years since I left high school. Fueled a little by frustration, and more so by the feeling of “oh crap, I have no idea what I’m doing out here and I’m stranded all alone at mile 10 of a half marathon, someone save me!!”. I ran and ran, hurt my foot landing funny in a pot hole, but kept running, until just before mile 12 I spotted Holly. At that point, I was in such a state of exhaustion and frustration that I told her I couldn’t slow down. I had taken up Cathy’s mentality of “if I stop now I’ll never start again”. And so I ran. Those last 1.1 miles hurt. BAD. But I finished my very first half marathon, and thus, created my very first horrible finishing line photo. 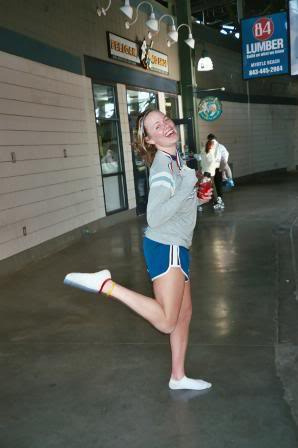 Please enjoy for your entertainment:2005 Myrtle Beach Half Marathon Finisher! Look at that face! I look like a fish out of water gasping for breath. 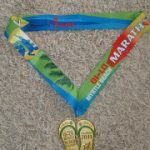 I crossed the finish line, barely, and was given my very first finishers medal (if only I knew then what an addiction that little piece of metal and ribbon would be). 2:41:01 I found my little sister, standing completely nonchalantly on the side of the finishers chute, wearing her medal and holding a Gatorade for me. By the looks of it I would have guessed she finished hours a head of me and not just 3 minutes earlier. We waited for Holly, who finished 3 minutes after I did. We hobbled (well, I hobbled) over to get some post race food, and all I can remember is the overwhelming urge to take my shoes off ASAP. eventually we made it home, where I encountered the stairs to my third floor apartment, that now looked something comparable to mount Everest. I couldn’t walk very well for a week after that. My boss, whose wife had properly trained for the half marathon that year, made fun of me and shook his head in that “you are an idiot” way for the entirety of the week. But I finished my first half marathon. I certainly did not get hooked on running that day, that week, or even that month. But a tradition had started, one that would eventually fuel a passion I never knew I had. A tradition more fun to the Gannoe girls (well, at least 2/3 of us) than a yearly weekend in Vegas or on a cruise ship. Holly and I have participated in the half marathon every year since. Some years we have added in the 5k on Friday or the bike rides on Sunday, and some years Cathy has jumped back in to join the fun (although I don’t really think she finds this stuff as “fun” as we do, but she is certainly a good sport!). I can promise you I won’t live in Myrtle Beach forever. 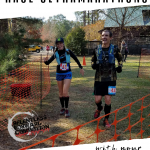 But I have a feeling that no matter where we are in the country, Holly and I will find our way back to Myrtle Beach every February for our race! 2006-about 2 months pregnant with Rowen (surprise!) 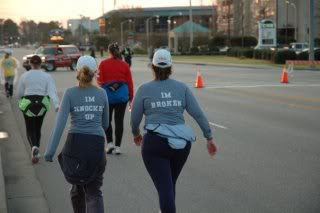 Holly had hurt her knee, and I was feeling less than stellar, so we walked….with our custom made “I’m knocked up” and “I’m broken” shirts. We got a few comments for those ones, haha. 2007-Holly and I ran the 5k and the half marathon together. We had a blast as usual. 2008 – surprise! (Again!) Pregnant. About 5 or 6 weeks to be exact, as in I just barely found out before the race. But I ran my 3rd fastest half marathon (just barely over 2 hours). It was a great temporary finish to my running, because at the end of that weekend I was run over by the morning sickness train, and didn’t participate in anything athletic, unless you consider running to the bathroom to toss my cookies a sporting event. 2009 – Post baby Kain. Well if you didn’t read that story….you can read it here. As you can tell by my face it was, uhh, less than ideal, haha. 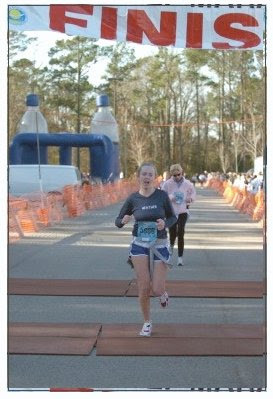 So here we are, approaching the 2010 Myrtle Beach half marathon. Year #6 for us. My training was sidelined for the month of January with a foot injury, so hopes of a P.R. are certainly gone. Hopes of a really fun time are not. I get more and more excited for this race every year. I feel like a kid on Christmas Eve waiting for Santa! 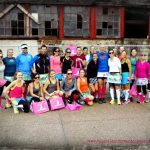 Happy running (and racing!) friends! Awesome story! Have fun this weekend. 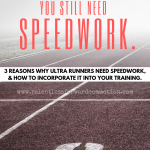 Wow, this was a great post packed with great information about your running history!! Very entertaining…I love the knocked up shirt:) Also, thanks for sharing so many pictures..you are so cute!! This was a really fun post. Thanks for sharing a peek into your running history. Love the stories! I can’t wait to hear how it goes! Haha, I love that story, thanks for sharing it again. Awesome. So glad to hear you can distance run while preggers. I was planning on it. My sister got me into running too. I ran my first half at her encouragement. 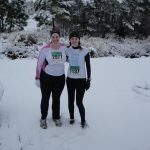 We are planning to run the Mardi Gras half together at the end of Feb then the Atlanta half in March. Great story!! I love the knocked up shirt!! You’ve come a long way! 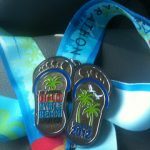 I would love to run in Myrtle Beach. I love it there!! Great story! Loved the “knocked up” shirt! And so cool you and your sisters run together – I am very jealous! Great story, thank-you so much for sharing. That is such a great tradition that you guys have. Wish I lived closer so I could join you one year. 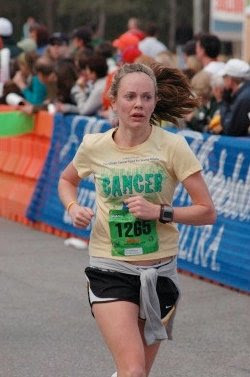 Yes, race pics are never flattering, but from a guy’s perspective, you look great! Also, as you know, sometimes the least competitive races are the best races because you have fun and there’s no pressure to do well. Good luck, I can’t wait to read about it. What a great story and thank you for sharing. It’s a gift to be able to share traditions like racing with family and friends. Hats off to balancing it all with kids too! What a great story! You definitely went into running in a backwards way, but it sure makes for a great story. 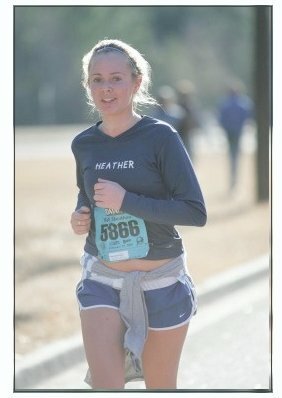 Fantastic running story, Heather! Love the customized shirts, too. 🙂 That’s awesome you’ve made it a tradition with your sisters. Love it. Great story. You guys are awesome! My girls and I are running our first 5K together (since HS). Hopefully, we can create some traditions too. Just ran across your blog, I mean awesome blog! I loved the Knocked up shirt that was priceless. Good luck at the marathon. I can’t wait to read your post race blog entry. That race and you have history, I hope you’ve kept all your medals – you should have them framed when you get to 10. You’re running the half this weekend??? I’m running the full!!!! Good luck in your race and those tshirts are awesome!!! Hope you’ll have some good ones this year. Really great story! So inspiring to see how you grew to love running so much after getting that first medal! the mb marathon is always a good time. good luck this weekend and have some fun! wish i was coming down there. Great story. I love those shirts! Great story! How fun to have sisters that are willing to all run a 1/2!! Awesome! Have a great race! 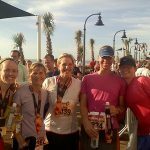 My sister and some cousins do a race each year too! We will have to steal the custom shirt tradition. Yay heather go kick some booty and I love the new shoes. Love the progression! And reading about the untrained experience was GREAT! Do you have cool shirts this year?? Will give you a high five tomorros for sure! 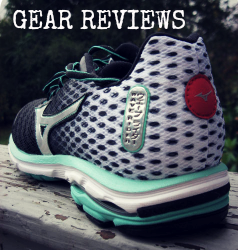 Heather – everytime I visit your blog I leave with a smile on my face and can’t wait until my next run or workout. Training for Run for Dom is much, much easier having you to rely on for motivation. 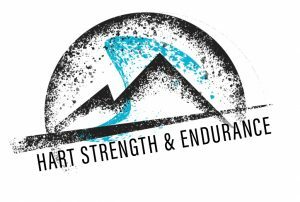 Have an amazing time at the MB Half this weekend. My parents down in Charleston are always hassling me to come out East and visit – maybe I can crash your party next year in February. What a GREAT story! 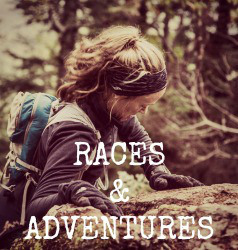 Looking forward to hearing about your race adventures! 🙂 HUGS! You’ve certainly come a long way and I look forward to reading about your latest MB race report. Awesome look back! I totally related to your “Man I hated running”. Have a great race this weekend! This is such a great story. Good luck!!!! Love all the stories and pictures!